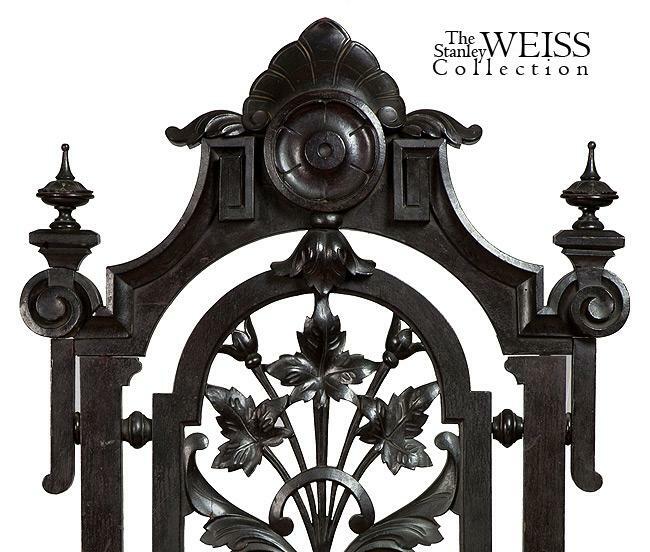 This masterful armchair is a tour de force of carved and turned elements, the back of this chair is reminiscent of the later art nouveau style during this century. 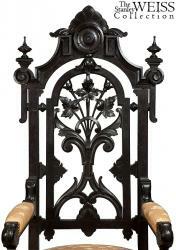 The finials are magnificently turned, all original, including casters. 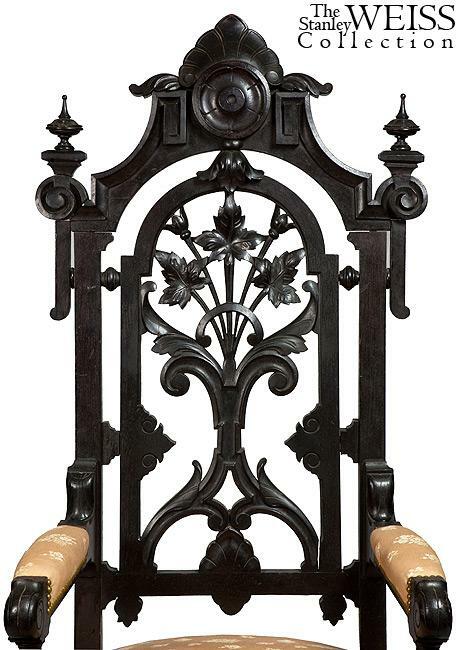 The old oxidized black surface is original. 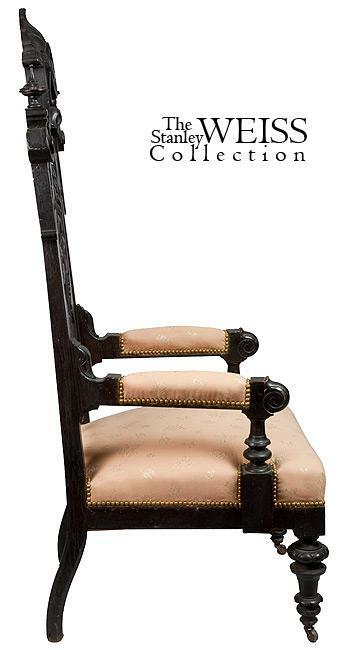 This chair is related to chairs illustrated in Furniture in Maryland 1740-1940. 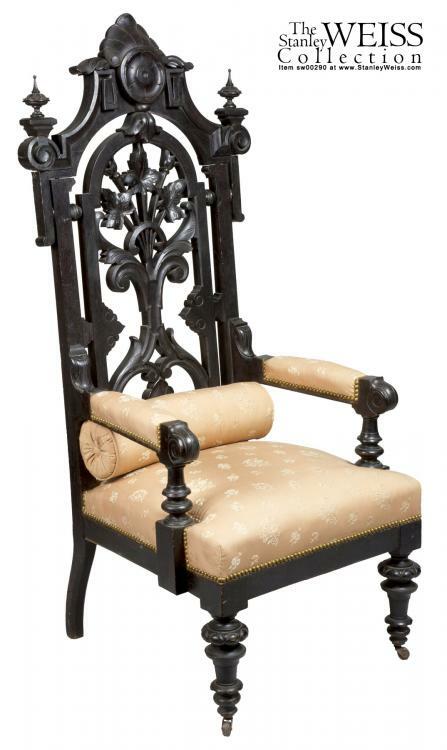 We consider this chair a "great" chair as it makes a very strong visual statement as being something very beautiful and masterful.